Is your lawn looking thin, weak, and low on life? At Lawn Connection, we have the solution for you – aeration and seeding. Bring life back to your New Jersey grass! Does your New Jersey lawn look like it’s struggling to survive, year after year? Years of stressful weather, foot traffic, and mowing damage can kill turf and compact the soil. This problem results in your lawns roots struggling to get the proper water, oxygen, and nutrients it needs. These suffering lawns become thin and lifeless. A friendly member of our staff to walk you through our process, scheduling a time for our technicians to visit your home. An in-depth analysis of your lawn, identifying the cause and the best course of action, and communicating their findings to you. A friendly lawn care professional to efficiently execute an agreed-upon strategy. A promise to go the extra mile in providing next-level customer service and aftercare instructions. When your soil becomes compacted, it loses its ability to hold oxygen, suffocating your lawn. It can also lead to erosion issues, as the soil is too dense to absorb any water. To combat this issue, our lawn care technicians will physically remove small cores of soil within the lawn, allowing grass roots to breathe and to take in more water and nutrients. 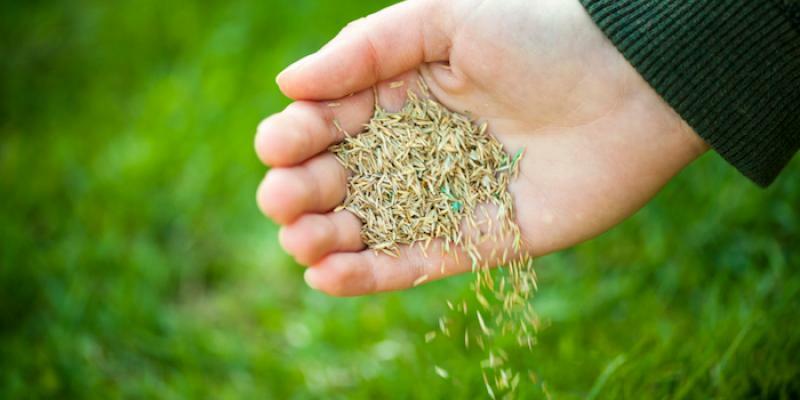 Seeding is the process of broadcasting turfgrass seed, typically across your entire lawn, to fill in bare, and weak spots in your grass. Unlike some of the big names in our industry, we always pair our seeding treatments with soil aeration – doing anything less won’t get the job done right. Our experts at Lawn Connection take the season, rainfall, and all other outside factors into consideration when crafting the perfect seeding strategy for you. Since 1986, our team has been providing expert lawn care services to our communities around New Jersey, including Medford, Mt. Laurel, Moorestown. Unlike the other guys, we’re local. We know the grass, the soil makeup, and the outside factors that hurt a lawn, and everything that’s required to make your lawn healthy and strong. As equally as important as our knowledge of local turfgrass is our desire to provide exceptional customer service. As a local lawn care company, all our customers are our neighbors, and at Lawn Connection, we take care of our neighbors. All of our lawn care service recommendations are guaranteed to provide the results you’re after! This is a promise and a pledge that if you’re unhappy with our services, for any reason, we will go above and beyond to make the situation right.